I talk with Tony Drockton, founder + self proclaimed ‘Chief Cheerleader’ of Hammitt, about leading one of the most rapidly growing handbag brands of our time. Hammitt handbags represent a fresh, versatile approach to everyday modern style. 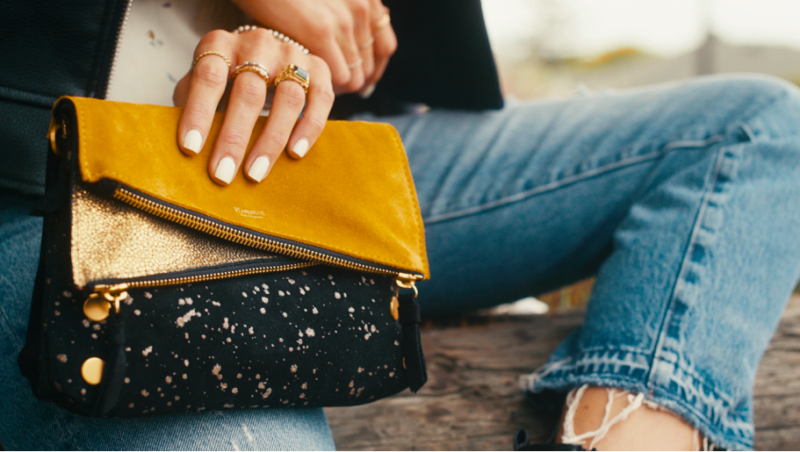 Designed in Hermosa Beach, California, Hammitt bags are meant to be worn and loved for a lifetime. Over the past four years, Hammitt has grown 40% each year, making it one of the world’s fastest growing handbag brands. Shoppers can experience Hammitt’s stylish functionality in over 800 stores, including branches of 3 major department stores. Meanwhile, Hammitt continues to forge intimate relationships with consumers: Their online and direct-to-customer business has grown approximately 300% year-over-year. 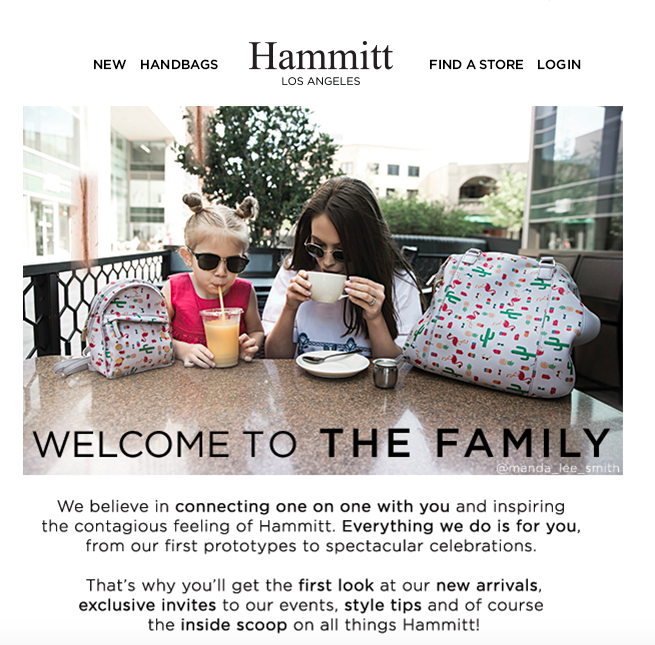 Whether shoppers discover Hammitt online or in stores, they are sure to experience the brand’s 3 central pillars: A focus on customers, a high standard for craftsmanship and a passion for community. 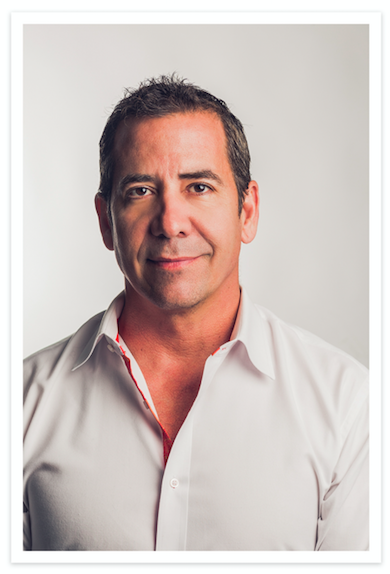 Founder and self-proclaimed “Chief Cheerleader” Tony Drockton reveals that Hammitt’s unique business model, which features dedication to full-priced product, helps create authenticity and build trust in a packed market. “Don’t do that!” It’s August in Boston, and a particularly expressive speaker has taken the stage at eTail East, a digital commerce conference that has drawn hundreds of retail mavens. Tony Drockton, the founder of quickly growing handbag brand Hammitt, is going against the grain, boldly advising brands against sending another “20% off” email to their treasured database. “Every communication with your customer must be intentional and needs to respect your customer,” Tony Drockton later muses to me in his first interview for French media. Like many good things, Hammitt was first fueled by comfort food – barbecue, to be exact. A Hermosa Beach local named Stephenie Hammitt needed a bag for her neighborhood barbecue, but nothing quite fit the bill. Ever resourceful, Stephenie took things into her own hands, designing a simple clutch with leftover leather and a collection of rivets. Friends in the beach community loved Stephenie’s bag so much that she soon partnered with Drockton to officially launch Hammitt. Ten years later, I had the chance to sit down with Drockton and learn about his journey in the wild, wonderful world of fashion. You grew up in Ohio. What led you to start a fashion brand in Southern California? Tony Drockton: My dad, an entrepreneur, was my hero. After an MBA and early success with start-ups in construction and finance, I felt called to the artistic world of fashion, where I dreamed of building a successful American brand. Of course, the brand has taken a very different journey from the vision I first had ten years ago. When I launched the brand, I thought I was going to build a very traditional American designer handbag brand. I came into the industry with this certain belief – I knew I wasn’t rooted in fashion, and that I had a background in construction and finance. I was trying to find my footing and figure out what made Hammitt different while staying afloat in a competitive industry. But after one year, I realized there was a big opportunity: to break away from the traditional “American brand” model, which is very promotion-centric. It’s all about whatever it takes to make a sale, especially heavy discounting. Instead, I looked to the European brands. I looked to Louis Vuitton, Gucci and Prada. How do these brands survive for generations and continue to grow in global markets? I figured out a clear pattern: Product has to lead. Without great products and great quality, Hammitt wouldn’t be in the conversation. Of course, great products also require thorough education and consideration of shoppers, because it’s an honor that they’re investing in your bags. That’s where our partnerships with retailers and department stores play a major role, helping to share Hammitt’s core values on an individual level. The handbag market is highly competitive. What is your distinct approach? 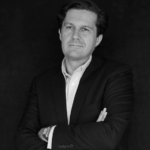 Tony Drockton: Our unique value proposition is an American handbag brand built on a European model, where products lead and where the relationship with the customer comes first. My greatest hope for Hammitt is that we sustain this approach on a long term level. I’d love to see Hammitt considered among great European brands, even long after I am gone. How do you keep up with your customer demands? 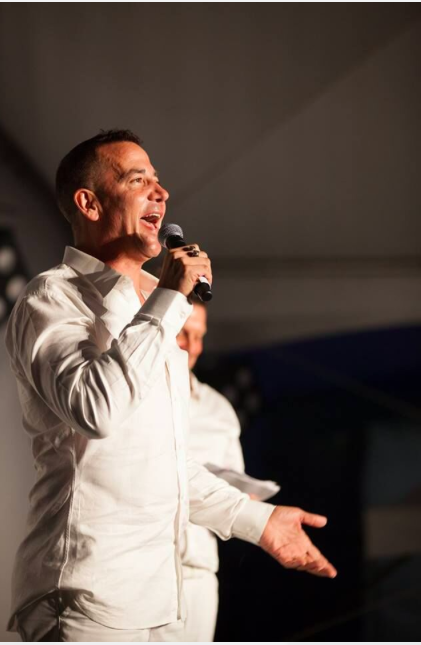 Tony Drockton: I personally spend more than half of my time on the retail floor doing trunk shows, appearances and pop-up events. This allows for lots of one-on-one time with my current customers, along with my retailer partners. These moments often result in the best ideas and direct feedback imaginable. As the founder of the brand, I feel a responsibility to build these personal relationships on behalf of Hammitt and leave memorable, lasting impressions. How does that relationship translate through social media? 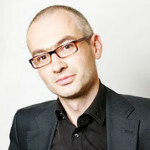 Tony Drockton: There are a lot of ways to stay in touch with your customers. I can have sales data, which is very important, and I can skim social media, but there’s something about in-person communication that helps clarify what we need to focus on. In person, I get the honest answers about what is most important to our customers. People will tell you something in person that they will not record on social media. They share more openly, and they will be honest in a constructive, kind way. The combination of these three channels – data, social media and in-person – is very critical. Hammitt is a brand with personality. How did you built it? Tony Drockton: We have 3 pillars that guide everything we do. First off, there’s craftsmanship. It’s all about quality and thoughtful design. 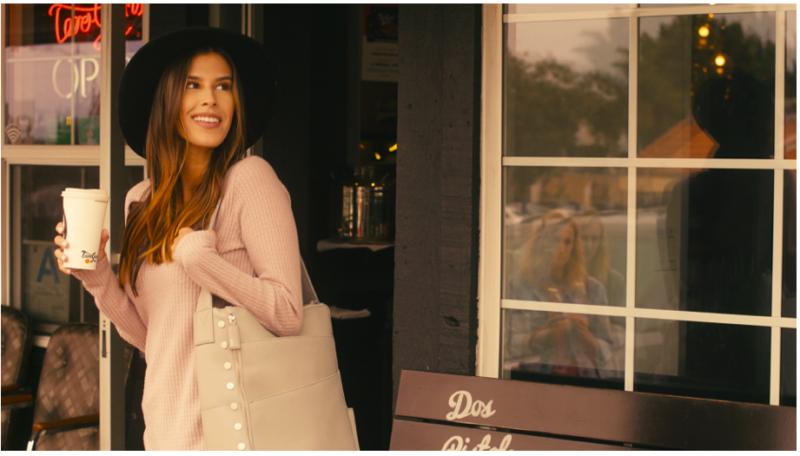 We design all our handbags here in Hermosa Beach, with both fashion and functionality in mind. Without great design, you aren’t even in the game. Of course, this design process occurs with care for our customers. They’re another one of our treasured pillars. From my perspective, our customers are actually in four groups of people: Our artisans, who make each bag individually. Our retail partners, who purchase on the wholesale level and represent our brand. Our team members, who not only represent our customers but are our customers. We have to treat them well so that they feel proud to work for Hammitt and represent our brand. If we take care of these first three groups, our fourth person – the customer who buys and wears our bag – will always feel taken care of. With quality product and a great relationship with anybody who represents our brand, the customer will surely feel that same happiness and become a lifelong fan. The cherry on top of our brand is at the heart of everything we do: Community. We think carefully about how to support programs and non-profit organizations that focus on educational initiatives and children. What are your best channels to acquire and retain customers? Tony Drockton: Our retail partners are so important. Not only do they help us create personalized experiences, but they can work with confidence knowing that a shopper won’t find Hammitt on sale for less somewhere else. In the digital world, new customers find us on social media and convert later as we retarget them and continue telling the Hammitt story. How do you measure attribution in this multi-channel environment? Tony Drockton: We are focused on the overall sales of the digital channels based on our total ad spend, because it is difficult to connect every sale to every dollar spent. You have to use a combination of algorithms, AB Testing and a little bit of intuition to know the dollar you are spending is driving revenue and to connect the last dot. At the end of the day, we actually even see a correlation between ad spend on Hammitt’s digital channels and conversion through our partners, like Zappos. How do you explain this pure correlation? Tony Drockton: We are non-promotional. My view is that the customer should feel secure buying our product wherever they feel most comfortable. This is a point of disconnect in a lot of brands right now. They think they are competing for the customer. We continue to invest in our digital advertising because it is driving revenue to all our channels. When I think of acquisition, I look at the overall revenue increase, across every channel, based on the increase in ad spend, and I see a direct correlation. 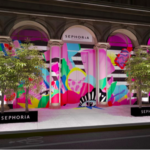 During your conference at eTail East in August in Boston, you mentioned a very successful way you entice customers to come in store, with geofencing. What is the scenario? Tony Drockton: It’s actually very simple! We utilize the ability to target people very specifically based on where they are in real time and what channels they are actively using, between Facebook, Instagram and Eventbrite. This technology is the perfect fit for Hammitt, because we’re constantly hosting trunk shows, special events, charity events and special appearances. 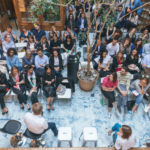 When we host or appear at these events, we use social media to define a virtual fence around the physical location and invite people within this perimeter to attend our event. Between influencer partnerships, special activations and eye-catching imagery, we’re able to entice people to see what Hammitt’s all about in person. It is very successful, because you touch your customers when you are in their area with a special engagement. That’s the Holy Grail: Letting people know they can visit a retail environment and get exactly what they’re after. Do you attribute the success to the fact that this is an invite to an event? Tony Drockton: Geofencing could apply to anything. For example, when you ship new product to your retail partner, or you launch a new collection, you can let people in the specific retailer’s area know about that drop. What do you say to people who feel the tactic is too intrusive? Is this in line with the experience offered by your website? Very refined, not promotional? Tony Drockton: Of course. I would like to sell more on my website, but there are lots of things we don’t do. In my opinion, it would sacrifice the long term relationship with our customers. We don’t have a pop up that says “Sign up for our email and you will get 20% off.” I don’t believe that’s how you start a lasting relationship. And tell me, what is this title “Chief Cheerleader”? Tony Drockton: I have always looked at myself as an entrepreneur that jumps in and has a positive attitude. My goal is to be inspirational and motivational – not only for myself, but also for people around me. That’s really my role in the brand. Congratulations on 10 amazing years, Hammitt!